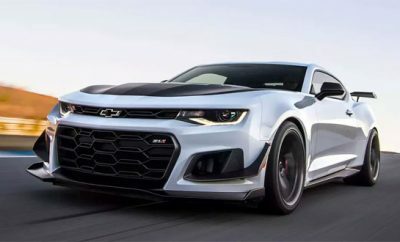 Earlier this month Lingenfelter Performance Engineering (LPE) announced that its modified Chevrolet Camaro ZL1 hit a top speed 202 mph. The tuner company has now released a video of the Camaro ZL1 hitting that top speed figure and you can check it all out after the jump. Check out the Top 10 things you need to know about the 2012 Chevrolet Camaro ZL1. Lingenfelter Camaro ZL1 modification packages come in three levels – a 630-hp package, a 700-hp package and a 720-hp package. 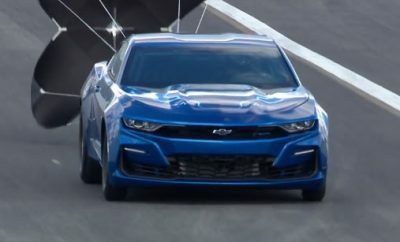 Check out more news on the Chevrolet Camaro ZL1. 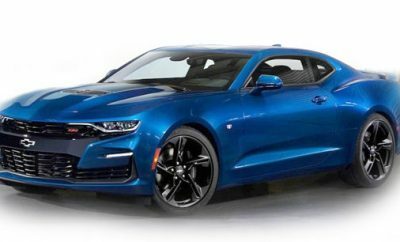 Refresher: Power for the 2012 Chevrolet Camaro ZL1 comes from a LSA 6.2L supercharged V8 making 580 horsepower and 556 lb-ft of torque. Power is sent to the rear wheels through a 6-speed manual or 6-speed automatic transmission. 0 to 60 mph comes in just 4 seconds when mated to the manual transmission and 3.9 when mated to the automatic. Top speed comes in at 180 mph for the manual and 184 for the automatic. Prices start at $54,995. Next Story → Model Sienna Miller Flirting With the New 2015 Ford Mustang!